TRILOK STEEL INDUSTRIES is also known as the Manufacturer, Supplier, Exporter and Stockist of Stainless Steel Pipes. These Pipes are actually manufactured from High Quality of Standard Raw Materials and are designed as per national and international standards.Trilok Steel Industries is India's largest stockholder of Stainless Steel Pipe which includes Stainless Steel Square Pipe,Stainless Steel Rectangular Pipe,Stainless Steel Oval Pipe, Stainless Steel Exhaust Pipe and Stainless Steel round pipeand are used for piping systems in various indutsrial applications. Our product range includes 200 Series, 300 Series, 400 Series Pipes in custom-made shapes and sizes as per the requirements of our clients, and that too at an affordable and market leading price. 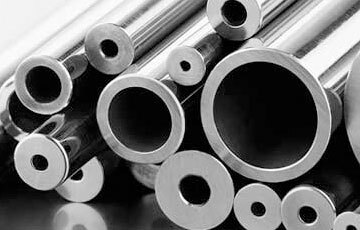 TRILOK STEEL INDUSTRIES is one of the reputed Stainless Steel Pipe Supplier , we supply these after all quality parameters checked by experienced and good knowledge staff. We stock a wide range of industry standard sizes of both Welded and Seamless Stainless Steel Pipes. Our inventori primarily consist of Austenitic Steel Grades of 200 Series, 300 Series, 400 Series, in a size range from 1/8” to 24” NPS. A Stainless Steel Pipe System is the product of choice for carrying corrosive or sanitary fluids, slurries and gases, particularly where high pressure, high temperature or corrosive environment is involved. As a result of the Aesthetic properties of Stainless Steel these pipes are often used in Architectural applications. Stainless Steel Pipe can generally be defined as a heavy wall thickness tubing, with dimensions as specified by the American National Standards Institute (ANSI). Pipe dimensions are nominated by outside diameter indicated by the NPS (imperial) or DN (metric) designator and sometimes referred to as the 'nominal bore' - and wall thickness, is determined by the Schedule number. The standard ASME B36.19 covers these dimensions. Stainless Steel Pipes are supplied in Annealed condition to facilitate fabrication and ensure best corrosion resistance. Trilok Steel Industries also supplies Stainless Steel Pipe with an Abrasive Polish Finish suitable for Architectural applications. 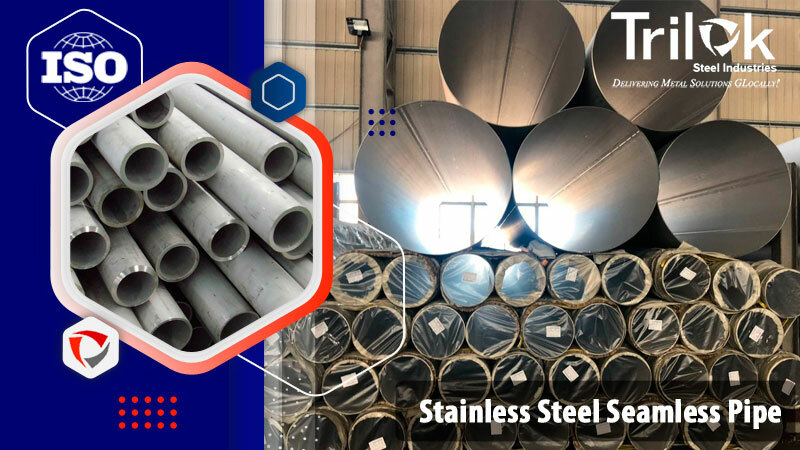 Heavily Cold Worked Austenitic Stainless Steel Pipes, Austenitic Chromium-Nickel Stainless Steel Pipe, SS Pipes, SS Hexagonal Pipe Dealer in India. 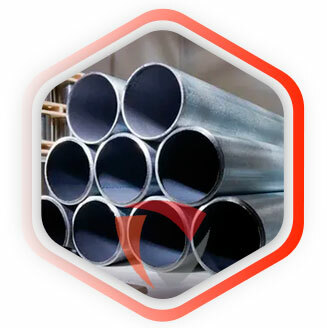 Suppliers of Stainless Steel Seamless Pipes,Stainless Steel Exhaust Pipe,Stainless Steel Pipe Exporter, Stainless Steel Hexagonal Pipe, SS seamless Pipe Supplier in Mumbai, India. 650 26 660.4 12.7 205.97 (24.66D-t) t 1000 Wt/pam + formula Weight Stainless Steel Pipe OD (mm) - W.T. (mm) XW.T. (mm) X 0.02466 = Kg. per mtr.